Getting a business credit card is a critical step that will increase your company’s purchasing power. Not only will you gain access to a higher credit limit, you’ll also protect your personal assets and build up your business’ credit standing. There are dozens of business credit cards on the market designed to meet a variety of needs. No single card can fulfill the needs of every company, but there are a few options that stand out among the rest. Browse our top picks for your business below. Capital One Spark Cash offers the highest unlimited cash-back rewards on the market. It does come with a $95 annual fee (after the first year), but this and all other fees are fully transparent. There are no foreign transaction fees, and cash advances come with a $10 or 3% transaction charge. Spark Cash’s 2% cash-back rate applies to all purchases, and you can redeem the rewards at any time. Plus, if you spend $4,500 in your first three months, you’ll get a $500 bonus. 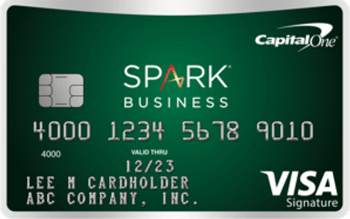 Spark Cash is our #1 choice because it’s a straightforward card with no restrictive cash-back categories or limits. It also comes with fraud protection, a strong mobile app, and compatibility with Quicken and Quickbooks. Check out our full review of Capital One Spark Cash here. American Express Simplycash Plus is known for its high cash-back rates. You can get up to 5% cash back at office supply stores and wireless phone service providers, and there is a 3% customizable cash-back category geared toward travel rewards and computer purchases. Unfortunately, both of these cash-back rates are capped, only applying to the first $50,000 in annual purchases. Regardless, this card still offers great rewards for growing businesses. The SimplyCash Plus card has no annual fee, a 0% introductory APR (for the first 9 months), and ongoing APR as low as 13.99% for businesses with strong credit. It also includes a generous overlimit spending option, so the cash back rewards can still apply even if you go over your monthly limit. You’ll also get access to Amex OPEN business benefits, which include extended warranties, purchase protection, roadside assistance, and travel insurance. SimplyCash Plus functions as a happy medium for many businesses. While it doesn’t have unlimited rewards or the longest 0% APR period, it still performs quite well across all categories -- which is why it’s a bit harder to qualify for than some other business credit cards. Check out our full review of American Express SimplyCash Plus here. 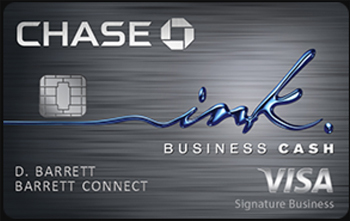 Chase Ink Business Cash is a great starter card. With no annual fee and no APR for the first year, this card is extremely accessible for new businesses. While their high-level rewards leave something to be desired, they do have a couple favorable cash back categories that can help offset some startup costs. This card’s 5% cash-back rate applies to your first $25,000 in annual purchases made on phone, cable, and internet services, as well as at office supply stores. You’ll also get 2% cash back on your first $25,000 of annual purchases at gas stations and restaurants. This card lacks high-yielding travel rewards, making it a less desirable option for those who plan on traveling a lot for business. Still, Chase Ink Business Cash has the potential to help you tremendously as you build professional relationships and explore new opportunities. With no annual fee or minimum interest charge, this is a card you can hold onto even after your business outgrows it. 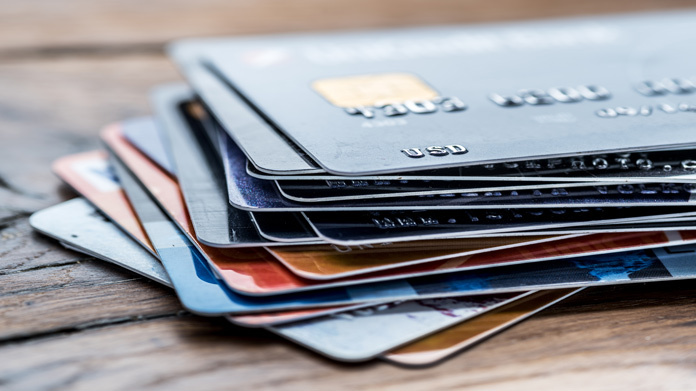 While high-volume spenders will likely want to select another card on this list, Chase Ink Business Cash is worth considering for new and frugal business owners alike. Check out our full review of Chase Ink Business Cash here. 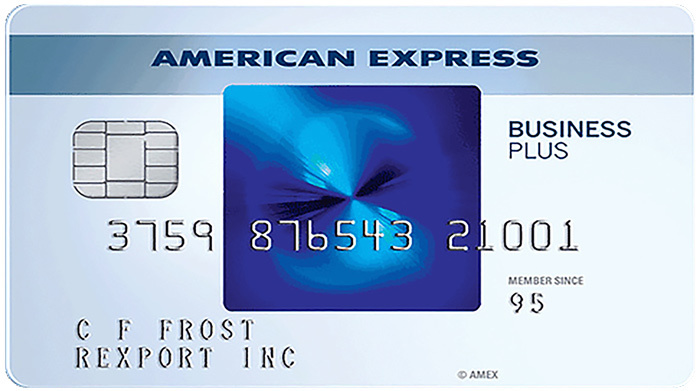 With a 12-month 0% APR period (the longest of its kind), American Express Blue Business Plus is perhaps the most accessible credit card for new businesses. This card also has no annual fee, providing for maximum flexibility. Unfortunately though, Blue Business Plus’ rewards are relatively weak. Cardholders get 2x membership rewards points on their first $50,000 in annual purchases (and 1x points after that), but the value of these points comes in at an average cash-back rate of less than 2%. On the plus side, customers do get the opportunity to redeem travel points via Amex’ Airline Transfer Partners. 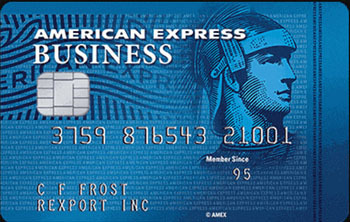 Like the SimplyCash Plus card, Blue Business Plus cardholders benefit from being on the American Express network. This means being eligible for frequent special offers and getting access to the Amex Spend Manager feature to track your expenses. Check out our full review of American Express Blue Card here. The Wells Fargo Business Secured credit card is for brand new businesses looking to build credit. This card requires a security deposit to act as the user’s line of credit. We believe this is the best secured credit card on the market because it offers an optional rewards program and enables cardholders to eventually upgrade to an unsecured Wells Fargo card. Wells Fargo Business Secured affords users a monthly spending limit of between $500 and $25,000 (based on the initial deposit). There is a $25 annual fee per employee card, with a maximum allowance of 10 cards. The free optional rewards program will earn you 1 point per $1 spent, which you can redeem on gift cards, airline tickets, and other merchandise. Some special offer packages even include cash-back opportunities. If your business is starting from scratch creditwise, this card is a great way to build up your credit with some breathing room. 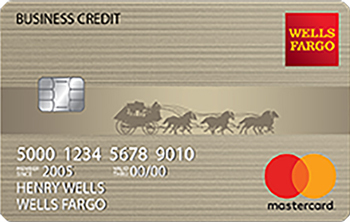 Check out our full review of Wells Fargo Business Secured Credit Card here.